An AAMCO Franchise has Everything a Business Owner Needs! 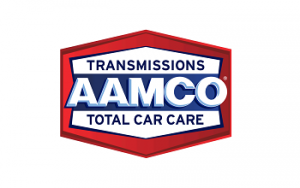 AAMCO is the world’s largest and top-rated transmission repair franchise, and we offer Total Car Care at hundreds of top automotive franchises throughout North America. We have been an iconic brand for more than 50 years, and we are attracting new franchisees by simplifying the process of owning, staffing, and running an auto repair franchise. And we just got better. Our innovative team at AAMCO has strengthened its business model, helping our franchisees provide more services, gain more customers and increase their revenue opportunities. With brand recognition among transmission repair customers in excess of 90%, this strategic move puts AAMCO in perfect position to become the market leader in brakes, tune-ups, air conditioning and other aftermarket services. AAMCO franchisees come from very diverse backgrounds. Finance, hospitality, engineering, medical and real estate are just a few of the industries that produce qualified, successful AAMCO owners. In addition, many AAMCO franchisees have no previous automotive experience whatsoever. The only thing they all have is a burning desire to be successful and own a thriving business. It’s hard to get better when you’re #1 - but AAMCO’s franchisees are providing more services, gaining more market share and increasing their revenue opportunities. The only way we could possibly get any better is by adding you to our team of franchisees. Now is your opportunity to join. Learn more today!